Children, at the early developmental-stage, can be extremely creative and far less inhibited than those who are older. Often they will develop a desire to make their own sounds. Some may even show an interest in playing music. Parents may wish to seize this opportunity to introduce their child to a variety of musical styles and instruments. 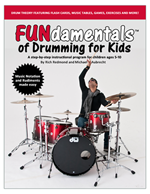 Drums can be an excellent choice for a young child’s first instrument. 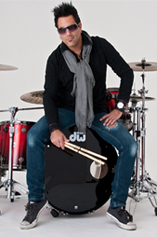 Whether banging on pots and pans or pounding away on a tom-tom, percussion is a great release of energy. 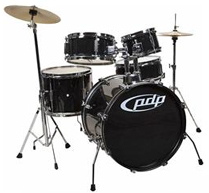 Playing the drum kit can also be an excellent way to exercise and develop manual dexterity. 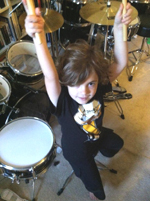 Sometimes a child will start out with a toy drum, a practice pad, or a simple snare drum before graduating to a real drum kit. 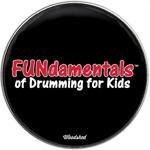 Regardless of the instrument, the FundamentalsTM of drumming remain the same. This blog is an extension of the book that provides additional training aids, as well as a student showcase where parents and teachers can share their own tips and experiences with others. This Internet community presence enables the program to grow and expand beyond a mere book.